Keenan Bauer Motors, Mullingar, Co. Westmeath has been awarded the Citroën & DS Automobiles Aftersales Dealer of the Year Award 2017, from a network of 19 authorised sales dealerships nationwide. 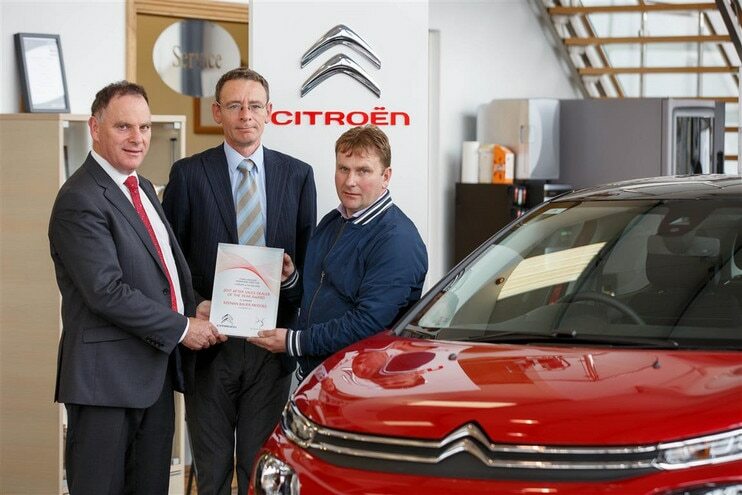 Pat Keenan and David Bauer were officially presented with the award by Sean Foran, Citroën & DS Ireland at their showrooms in Mullingar last week. Since they began trading in Westmeath, Keenan Bauer Motors has established a tradition of value for money and total dedication to customer service. They pride themselves on being an active member of their local community and are delighted to represent the Citroën & DS brands in the midlands.